Welcome to our exclusive wholesale page for retailers only. This page shares our current exclusive offers and deals with you. Shhhh! This is an invitation only section, just for you. If you missed out, watch this space! ​Our current deals for you through June 7: We're feeling wildly generous! If you place an order of 12 books or more, you will receive 1 additional book of your choice, and our wall calendar, signed, limited edition of 50 printed, while supplies last! That's a $35 savings! If you order 24 books of either title in any combination, the wholesale price drops from $12 a book to $10 a book, and we'll throw in a limited, signed calendar (edition of 50) and the extra book of your choice. That's a boon worth $93 dollars people. Mention this page and the June 7 offer when you email or call us at 617 686 4016 / hannahbeet@gmail.com and we will hook you up. When you feature them, they are an instant grock for your customers, they get them, they buy them. Their sales don't slow down where audiences change! And did I mention, they truly affect change in their readers, these sweet little unassuming books. This is not a short term trend! 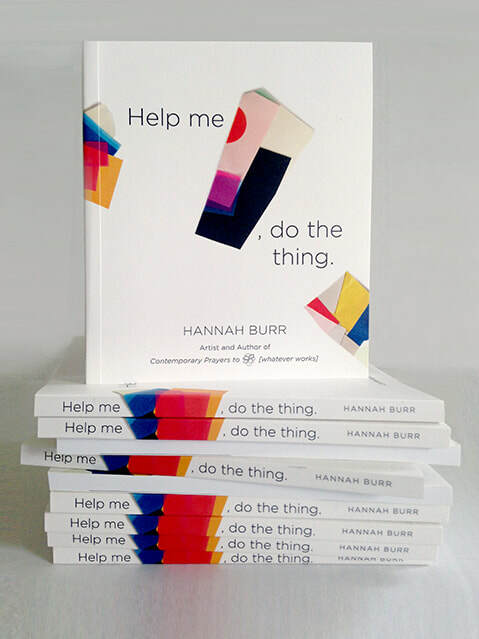 This book is a game changer, made by an artist, directly related to every person who comes to your shop. Let's make some sales together! You won't have to remember to do it later or waste energy in hesitation. Bleck. ​Help me [ ], do the thing. The second, sister companion of book 1. 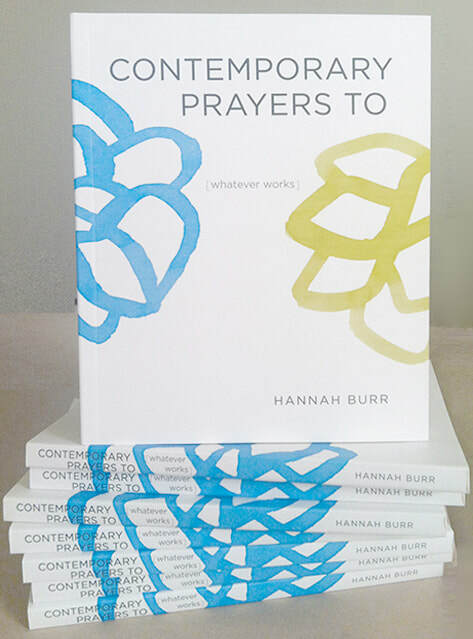 A conceptual artist’s book of blunt prayers to whatever works. See inside pages and hear from her readers here!